Ex Soldiers, Sailors and Airmen Association. 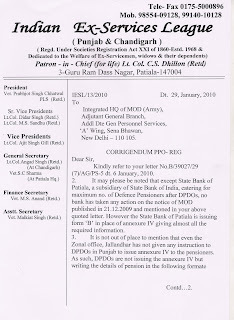 : Letter of the MoD and response by IESL Punjab & Chandigarh: Vet. Prabhjot Singh Chhatwal PLS Retd. 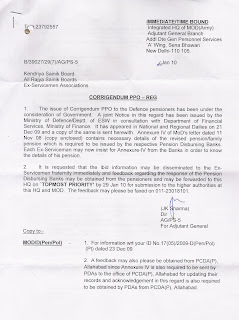 Letter of the MoD and response by IESL Punjab & Chandigarh: Vet. 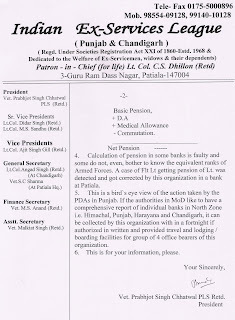 Prabhjot Singh Chhatwal PLS Retd.